By default the printer is set to use a small amount of color toner under pure black and gray half tones (ColorSaver OFF). This color toner greatly improves black transfer. The result is a smooth black print. You can turn this feature off in the printer driver. 1. 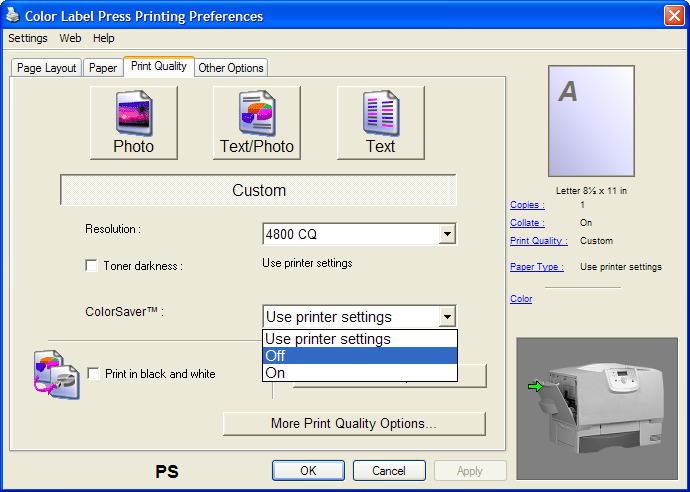 From PTPrint go to file - print. 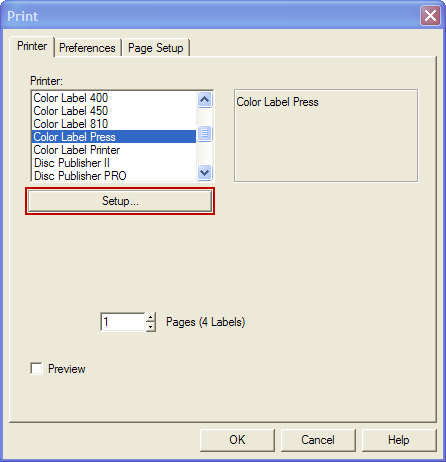 Select Color Label Press - click Setup. 2. Go to the Print Quality Tab. Click the Custom Button. Find the ColorSaver setting. Set it to ON. Click OK and send your print.